Archives are extremely important in today's society for the preservation or our history and heritage. Some people dedicate their entire lives to learning about our pasts and the history of the world and without archives this would never be possible. The concept of archiving has been around for thousands of years but back in the third and second millennia BC, they didn't have any option besides stone tablets to store the information on. Nowadays more and more people are converting old archives to a digital format because it seems to hold a superiority over the manual methods of old. But there are two main benefits that are particularly appealing and those are preservation and improved access. Storing archives digitally preserves the condition of the document from damage that can be caused by handling physical documents. It also ensures that, should the original microfilm be lost or destroyed, there will always be a digital copy of it. This is especially useful if it is historically important document as you will be able to safeguard the history contained in it. 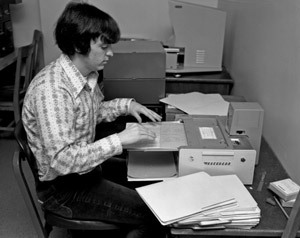 A digital archive can also improve the accessibility of the materials previously only available by viewing rolls of microfilm. This is particularly useful for libraries and museums wishing to give public access to materials without the hassle and document safety worry of exhibiting the originals. Digitised archives can also be put online to be viewed by people all over the world making this access much quicker and wide-spread than keeping microfilm in a box gathering dust. Everyone who currently stores microfilm in hard copy archives can benefit from its digitisation. This includes businesses, academic institutions, governments, churches, media organisations and non-profit organisations because, as you can see from above, the benefits can be seen in a wide range of areas meaning that one organisation may see one benefit while another may see a different one. The main thing is that there's a benefit out there for everyone. Here at Pearl Scan, we provide a fully bespoke archives digitisation service for companies, organisations and individuals wanting to preserve files originally stored on microfilm. We have recently purchased a new scanner to ensure our clients get the highest quality scans in a very quick turnaround and all of our services are accredited to ISO quality and security standards. We can scan 16mm microfilm, 35mm microfilm and microfilm cartridges containing anything from HR records and contracts to architectural plans, blueprints and maps and convert them to digital images in PDF, TIFF or JPEG format. If you would like some more information about how we scan microfilm or our specialist archives digitisation, give us a call or browse our website and blogs for some more interesting content.